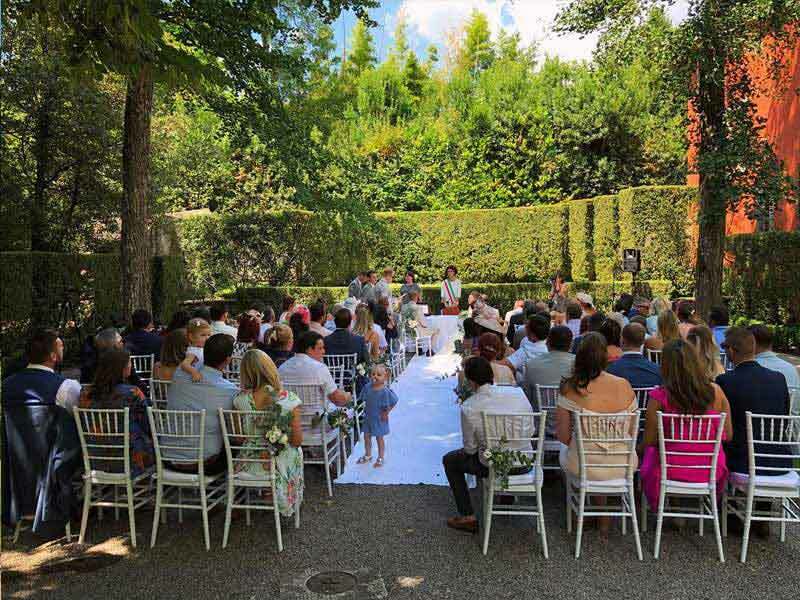 The ceremony area was surrounded by tall trees, providing some relief from the heat. 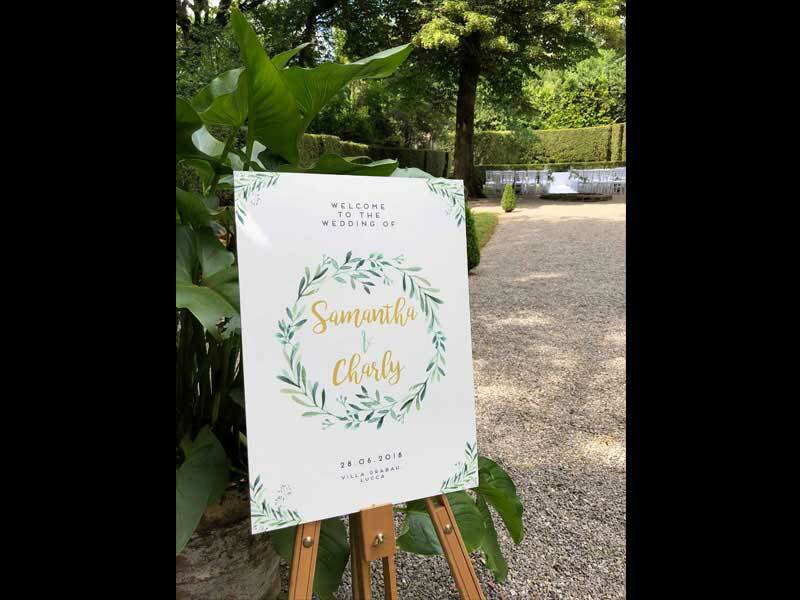 I played during Sam and Charly’s ceremony, afternoon drinks reception (aperitivo) and most of the meal. 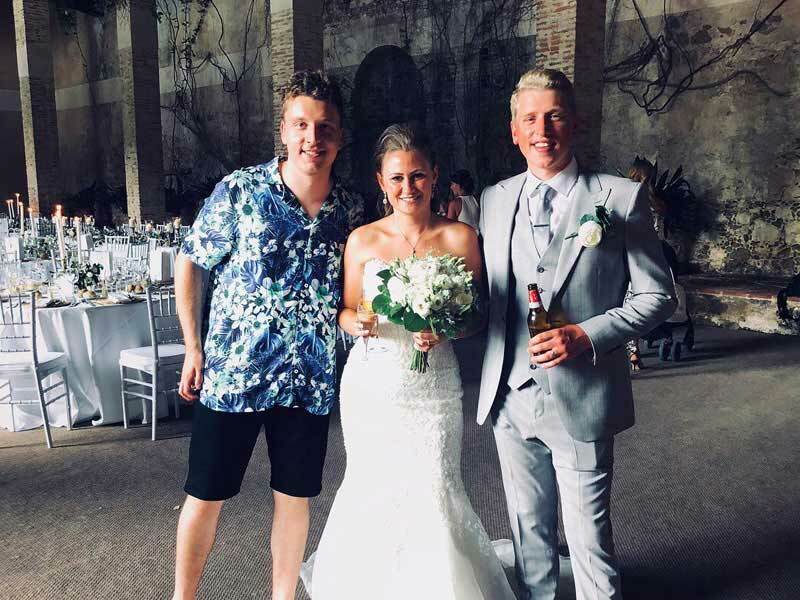 Sam chose to walk down the aisle to Only Love by Ben Howard, and the couple also picked Wasn’t Expecting That by Jamie Lawson and Be Mine by David Gray for their ceremony. 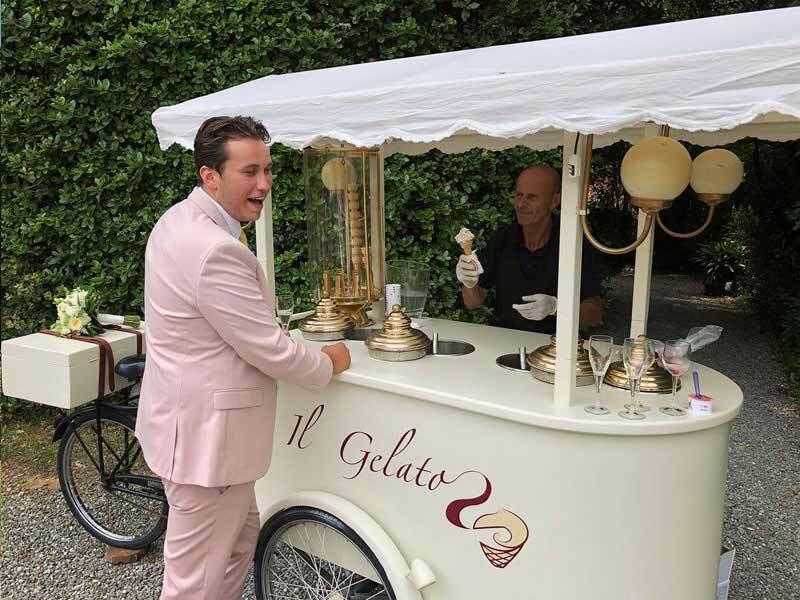 The setting of Villa Grabau was spectacular, and following the ceremony guests headed to the fountain near the villa for some canapés and drinks, and of course some gelato! 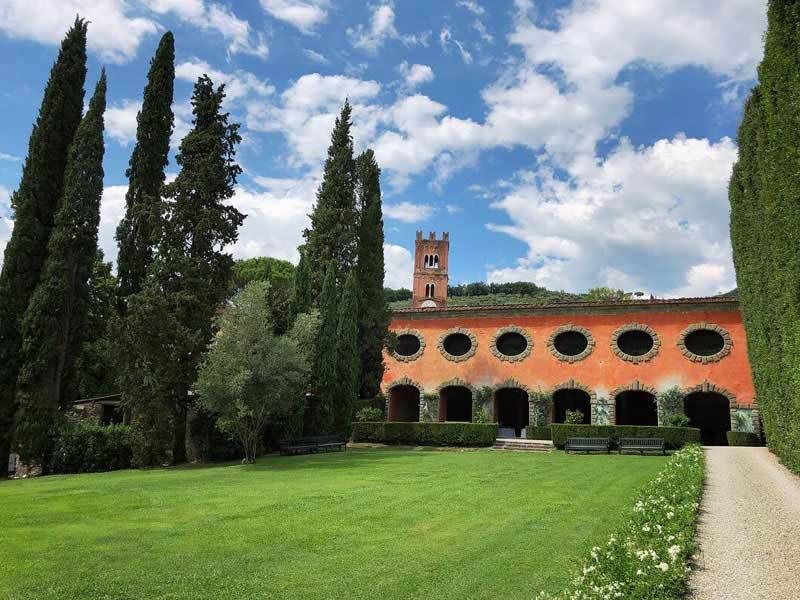 We experienced a little rain but this quickly blew over, and guests then settled in to their seats for the meal, which was held in a beautiful old building that would not have looked out of place on the set of the film Gladiator. Friends and family were starting to enter the party spirit so I played some livelier songs, including Faith by George Michael, Hold Back The River by James Bay and Blame It On Me by George Ezra. Before long the dancing was underway. We even had a raucous singalong to Wonderwall! Sam and Charly’s day ran very smoothly from start to finish. It was a privilege to play for Sam and Charly, a lovely couple. The Gladiator-esque setting was majestic. Weddings abroad or ‘destination weddings’ are becoming an increasingly popular option for engaged couples. Often the costs can work out to be very reasonable in comparison with having your day in the UK. 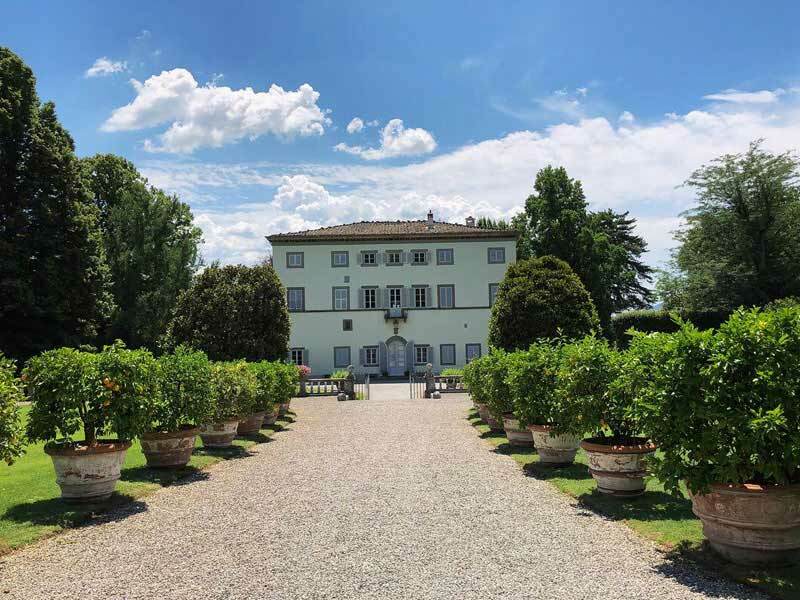 True, guests have to travel, but believe me if you select somewhere as picturesque as Tuscany to tie the knot, you won’t regret it. Looking for advice about music at your wedding, or other planning tips? Contact me here.